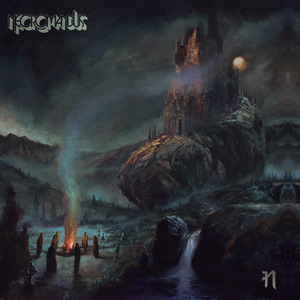 This week’s reviews include Cytotoxin, Ded, Ereb Altor, Kroh, Necromandus, Orden Ogan, Poseidon, Soul Remnants, Tau Cross, Wilderness Dream, Wintersun and Wren. 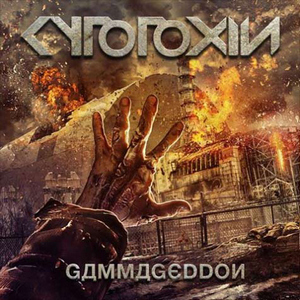 Cytotoxin play a very technical form of death metal. The music is still held in check by fairly good songwriting that makes sure the songs never get out of hand. The songs feature a number of swings in different directions, but this is balanced by the tightness of the outfit. Technical metal such as this has the ability to be very interesting and there is certainly a compelling element to this band. Still, Cytotoxin manage to also add a beefy slam presence to the work to make it more impactful. Tracks like “Chaos Cascade”and “Gammageddon” stand out from the pack. 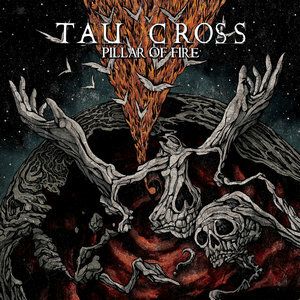 Though not stellar, this is a very strong album of technical death metal and will be liked by fans of the genre. The Arizona band Ded have set themselves up for a lot of success. 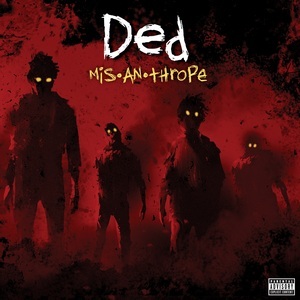 Before their debut album Mis-An-Thrope was even released they’ve already played most of the big U.S. festivals and toured with some marquee bands. The single “Anti-Everything” has been a big hit as well. They definitely won’t be one-hit wonders. The album is packed with a variety of styles, from hard rock to nu-metal to groove metal. There are heavy, aggressive songs like “FMFY” along with more melodic fare. Joe Cotela delivers both angry yells and clean singing. You’ll hear influences of bands ranging from Slipknot to Korn, but Ded wrap them in their own style. 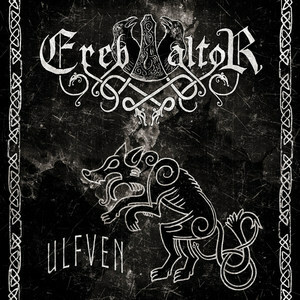 With some bands waiting several years between releases, Swedish Vikings Ereb Altor are much more prolific, with Ulfven being their third album in as many years, and their seventh full-length since they started putting albums out in 2008. The quick turnaround hasn’t seemed to affect the quality, as they bring new things to the table with each album. After their early material blended Bathory worship with doom, their latter albums utilized a more blackened Viking approach. 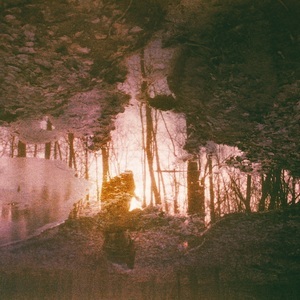 This album isn’t as dark, with a lot of melodic vocals and some folk influences. They still bring the extremity, with intense tracks like “The Rite Of Kraka,” which are skillfully balanced with groovy songs such as “Gleipnir” that utilize both unclean and clean vocals. “Atmospheric Fuzzed Out Doom,” says the record company. Yes, we have the (rather good) pseudo pagan erotica line drawing cover art, we have the overclocked Si fuzz guitar tones and low tempo grooves, but, this album is being sold short as a simple genre piece. What we get is far greater, very tight songwriting and a very mature (even commercial) blend of haunting vocals and post grunge riffage. 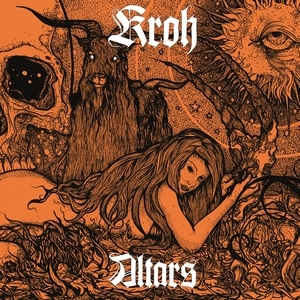 There is some excellent melodic and textural guitar work to complement the blunt instrument that is Kroh‘s rhythm section. There are a few of the standard doom tropes here for the more conservative listener and the presentation leans a little toward the congested, claustrophobic feel beloved by many. If I was a lazy writer you could say this is like Siouxsie fronting an angry, not angsty, Undertow era Tool. But I’m not. So I won’t. Buy this album. It’s a great ride. A new album from the storied (and much bootlegged) British progressive hard rockers Necromandus, 44 years in the making. From lead track “Don’t Look Down Frank” and it’s NWOBHM stylings, this is thoroughly engaging album. It has a sophisticated, even genteel, approach to heaviness combined with an old time English prog rock whimsy brought together under the superb vocals of John Branch (son of the original Necromandus vocalist Bill). This whistlestop tour of prog through the years via classic metal themes surprisingly never becomes overindulgent. There are some themes on this album that I would have liked to heard develop a little more. Great album, don’t keep us waiting so long for the next one. 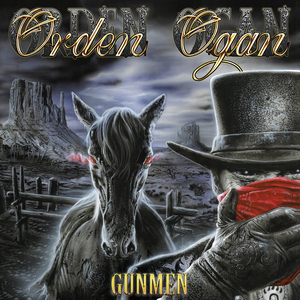 After last year’s career spanning CD/DVD box set, Orden Ogan reload for their latest studio album Gunmen. And although the cover art and opening song “Gunman” have a wild west motif, it’s their usual power metal fare. The songs are melodic, with soaring vocals and a cinematic atmosphere. Frontman Seeb Levermann wears a lot of hats on the album. In addition to singing and playing guitar, he also produced the disc. There’s a guest appearance from Liv Kristine (Leaves Eyes, Theatre Of Tragedy) on “Come With Me To The Other Side,” which begins quietly before kicking into full melodic metal mode. The arrangements are epic, but Orden Ogan don’t neglect the basics of memorable melodies and catchy choruses. 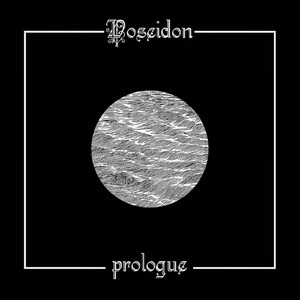 From the ashes of Light Bearer comes London quartet Poseidon, a doom metal outfit that seeks to summon tidal waves with their four-track full-length debut in Prologue. The initial reaction to the band’s reverberating opener “The Beginning, The End, The Colony,” is that these blokes are going full-out Yob, and, for what it’s worth, they succeed in doling out no shortage of interesting and no less grooving planet-sized riffs. The second track, while nicely executed, stunts the album momentum, but is thankfully uplifted once more by the final two songs, in particular “Chainbreaker,” which proves Poseidon can pen a killer tune without resorting to 10-minute-plus playing times. Still, Prologue sounds immense, and fans of hard-hitting and high-minded doom spilled from the veins of Yob and Neurosis should investigate. 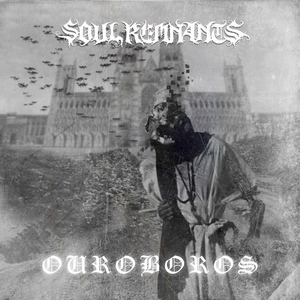 For their third album Ouroboros, Massachusetts death metal mavens Soul Remnants have signed with eOne, which should give them more exposure and a higher profile. Their brand of death metal is slightly blackened, and features excellent guitar work from Tom Preziosi and Chad Fisher. Whether it’s meaty riffs or searing solos, they deliver the goods. They incorporate ample variety into their songwriting, varying tempos from deliberate crawls to chaotic gallops. The songs are tied together with the lyrical theme of a futuristic, dystopic war. Not exactly an original concept for this genre, but Soul Remnants provide a lot of originality when it comes to musicianship and composition. Fans of their debut might find themselves a little lost with some of the variety, but this group, which was initially formed in a way like the tape trading days of yore, are really getting to know each other and are unafraid to continue experimenting with this collective’s sound. Whether or not Pillar of Fire lives up to its lofty expectations, it is a pretty cool record for what it is, regardless of personnel. 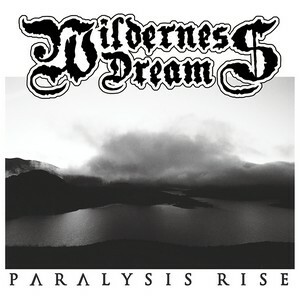 Wilderness Dream’s second EP Paralysis Rise takes up 20 minutes, yet only needs two of them to undoubtedly register. The brief instrumental “Venom” is a standard opener, acting as a building block that “Ghosts” demolishes with vengeful pleasure. Its dual vocal delivery and locked-in guitar riffs are a steady foundation the group aptly works from. That foundation remains solid, with the band’s willingness to get into a fevered groove to offset the outright force of many of these songs, an invaluable trait. Twists like an explosive guitar solo on “The Awakening” give Paralysis Rise a stable lifeline to keep strong for the duration of the EP. 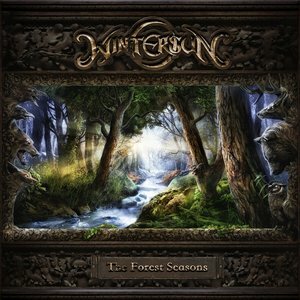 It has been five years since we’ve heard from Finland’s Wintersun, and the symphonic melodic death metal band return with the ambitious The Forest Seasons. It consists of four lengthy tracks, each one representing one of the four seasons. The mood of the epic songs matches the season, from the spring-themed “Awaken From The Dark Slumber” to the melancholy winter closer “Loneliness” that features some female vocals. Ranging from 12 to around 15 minutes, each song takes a while to develop, with majestic riffs and an orchestral atmosphere. And while there are some lulls, patience is rewarded with an impactful and diverse album. Since 2013, London’s Wren have grown with each dark patch of music in the way that sandpaper gets rougher by its grit rating. The pristine abuse of the opener, “In Great Yield,” roars into numbing abrasiveness, and belies that is not just a debut record, but a quantum leap forward. Last year’s EP Host was setting the scene for the doomed future. Auburn Rule is that future for Wren. The tracks are powerful sludgegaze wonders, rash-forming reflections of a chrome sun. Wren require your willingness to absorb the atmospheres of “The Herd” and “Dwellers Of The Sepulchre,” and feel better for the grandeur in their sonic-peeling storms.